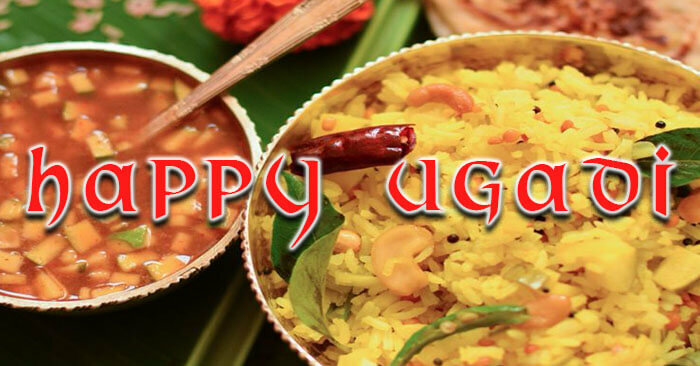 Ugadi, the festival is mostly celebrated by the people of Telangana, Andhra Pradesh, and Karnataka. The people of this state consider this festival as the start of the New Year. 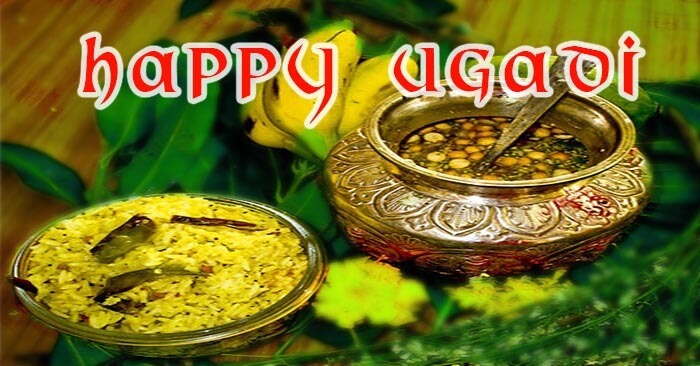 The festival of Ugadi falls in the month of Chaitra on the first day called “Chaitra Shudhdha paadyami” according to the Hindu Lunisolar calendar and according to the Gregorian calendar it falls in between the month of March and April. The Lunar calendar has a sixty-year cycle and the start of the new year is on the day of Ugadi. 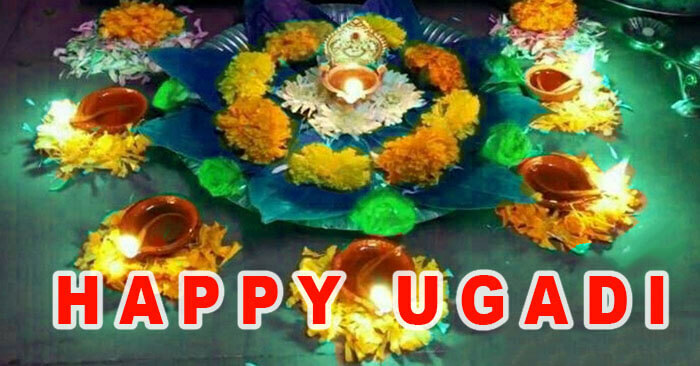 The festival is known with a different name in different states like it is named as Ugadi in Telangana and Andhra Pradesh and the term used for this festival in Karnataka is Yugadi. In Maharashtra this festival is known as Gudipadwa in Assam it is known as Bihu and in Punjab and Kerala, it is known as Baisakhi and Kolla Versham. 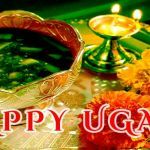 The term “Ugadi” or “Yugadi” is the combination of two words yuga and adi which means age and beginning that is the beginning of a new age. 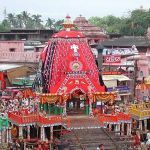 This festival is celebrated first in the 12th century after the calibrations of Bhaskara 2. The start of this festival is on the first new moon day on the Spring Equinox when the Sun crosses the equator from north to south. 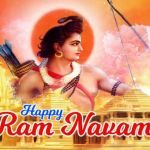 But in India people believed that the start of the new day is when the sun rises so this festival is celebrated on the next day. There is a story that Lord Brahma had created this universe on this day. This is also the first day when the pattern of the moon’s orbit occurred. On this day people also used to worship the Lord Yugaadikrit which means the creator of Yugas or ages. 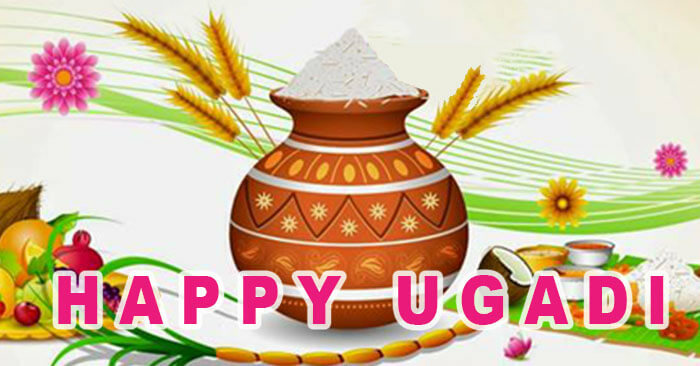 The festival of Ugadi has special significance in different sectors. The people who followed ancient beliefs and practices them consider this festival to be one of the important days in the lunisolar calendar. The festival also holds special importance in the field of Astronomy. It is the day on which a new astronomical cycle gets into motion. The northern hemisphere receives the maximum amount of sunlight for a period of 21 days starting from the day of Ugadi. This indicates a period when the earth recharged itself with the energy of the sun for a new beginning. The festival of Ugadi also plays a significant role in Nature. It is that time of the year when the mother nature gives birth to new plants and the trees gets new leaves. Everywhere there is greenery in nature like it had cover itself with a blanket of greenery. Everything looks fresh and beautiful. The festival of spring Vasanta Navratri also commences on this day for a period of nine days. This festival marks the regeneration of mother nature. 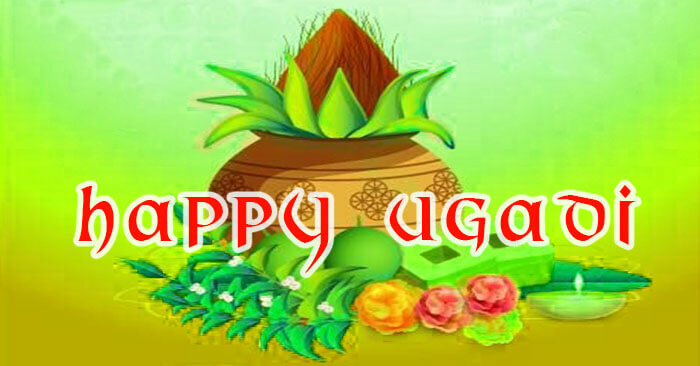 The festival of Ugadi is celebrated with great enthusiasm and cheerfulness. People used to get up early in the morning and clean house, take a bath and wear good clothes. The bath is taken by oil which is a custom of this festival. The idols of gods are also given an oil bath on this day. A special dish called Bevu Bella or Ugadi Pachhadi is made on this day and the household used to pray the Sun God before consuming the dishes. 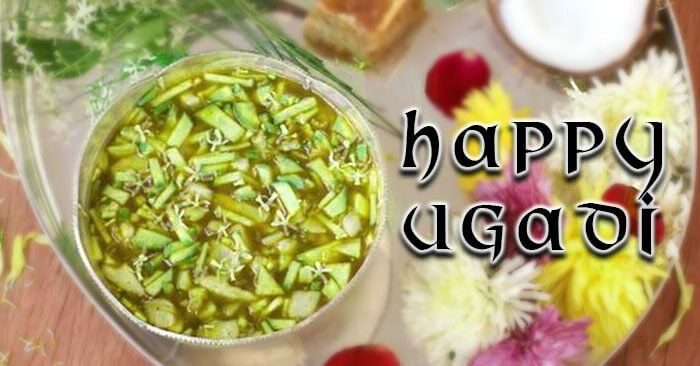 The Bevu Bella or Ugadi Pachhadi has a very important significance on this festival. It is made from a mixture of chili powder, unripe mango, jaggery, salt, neem flowers, and tamarind. Each of these ingredients signifies the essence of life. The Chilli powder and Jaggery symbolizes the upsetting moments and the happiness of life. The Tamarind and Salt indicate the challenges and interest in life. The Unripe mango and Neem flowers indicate the surprises and difficulties in life. The temples are also decorated with mango leaves and flowers. Especially the entrance of shops, homes, and temples are decorated first. In front of the house, rangolis are drawn as it is one of the important customs of this festival. People visit their relative's houses to take their blessings and to share sweets and eatables. 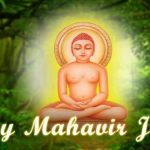 The learned Pandits and astrologers also make the annual forecasts and the important prediction for the coming New year. 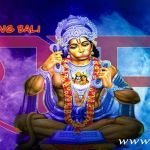 The hearing of the Panchanga or Panchanga Shravanam is the most important aspect of this festival. All the family member visit the temple to hear Panchanga which is read by the temple priests and eat ugadi pachadi. Share your Customized Greentings to your family and friends.